Glad I found you ! These tutorials with really help boost my lettering/art skills ! Blessings to you from CANADA! Wonderful tutorials. 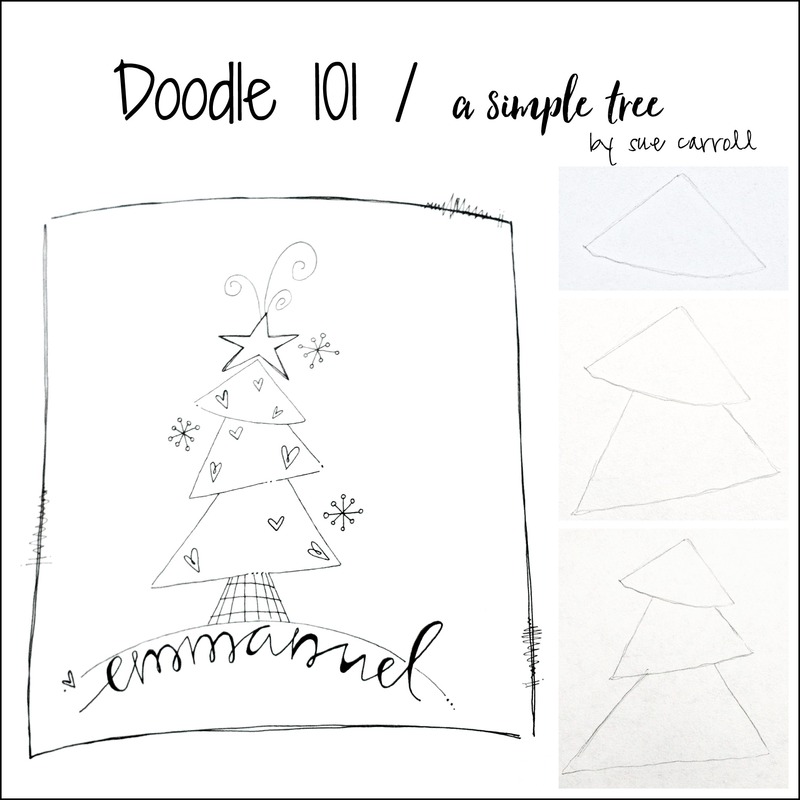 Your designs are so lovely and these instructions really make it easy. I can’t wait to try a few in my journal. Thank you for sharing your creativity. It is much appreciated. I love your work! It is beautiful! I am just getting started. What kind of markers do you use? These are wonderful… Thanks for sharing. Thank you Eileen! So glad you like them! Thank you for this tutorial. I am new to my Bible art journaling and need inspiration for my own ideas. I stumbled upon your site and I cannot thank you enough for these tutorials and inspiration they provide. Thank you for allowing God is use you in such a creative way! Wow,what a blessing. Love all your drawings and your willingness to share all the how tos..it’s been a long time since I’ve done any painting and this summer I have loved learning to scripture journal . There are so many new mediums out there it can be a little overwhelming to some of us. Any chance you could post a list of some of your favorites and when and why you use these particular items. Thank you so much for allowing God to use you and your willingness to share. Gods very best to you as you continue to Bless us. Alexis, thank you so much for taking the time to read AND write to me! I agree with you, …there are SO MANY products out there, and collecting them all can become overwhelming and EXPENSIVE!! I have posted today just for you:) If you have any further questions about these products please “fire away!” Thanks again for your kind and thoughtful comments:) Bless you!!! I cannot thank you enough for posting these tutorials for someone like me who needs step by step instructions to get started. You are appreciated! These images are amazing! I am not an artist, but you have inspired to grab my pencils and give it a try. Thank you so much for sharing. Thank you so much for sharing your art and heart! Thank you so much Celeta! So sweet of you to take the time to post. Wow, I can’t believe I can do this, and the results are so neat! I can’t wait to add this to Scripture that I am studying. Thank you so much! Wow Polly! Thanks for sharing!!!! Your experience with success is exactly why I post these doodles! Xo Bless you!! Thanks for the encouragement! When my children saw the first drawings I replicated of yours, they couldn’t believe that their non-artistic mother had done them. I love your style, and to be able to create something more than stick drawings is quite an accomplishment. Thank you for helping others be able to create beautiful things, too. Thank you so much!! You are blessing to this beginning Bible journal!! So glad faith!!! Love meeting all Bible Journalers:) Bless you! Wow, you are so generous to share your art talent with us, thank you so much! Can you contact me about using a few of your art tutorials in a youth camp? Thank you! Please feel free to use any of the tutorials! I LOVE to see others ministering to kids:) Bless you!!! This is what I have been praying for…you are doing a good work!Thank you and may God bless you abundantly!!!! These are great! I am no artist but have had a go at the put on love dress and it turned out ok. I may even get brave and add some to a Bible. I am a very unartistic person , hoping to start Bible journaling. You have given me hope. Thank you for the tutorials! I absolutely LOVE your art work!!! just happened upon your site. On Thanksgiving we feed the homeless, people who live alone, and a lot of our church members–all the community is invited that day. My husband and i served for the first time and it was so rewarding–we are going to do it every year!! however, there is a family of 3 older people (the husband is in his late 80’s) who do all the food prep (we serve well over 100). so i have been wanting to do a special “thank you” card for them and plan to use one of your inspirational pieces–need it in the a.m., so need to get busy!! thanks so much for your wonderful site. blessings. Glad I found your site! Giving me confidence in sketching! So glad Sondra!!! Thanks for taking the time to comment! Sending you a big hug!! As usual love, love, love your artwork!!! have gotten soooo many ideas, just not enough time to do them right now! thanks for your e-mail re my piece of artwork for my 3 church friends (family), however, i finished it (took me a long time) and then ruined it with the was i did! will start over soon. my request now is–each group from our church has been asked to design a Christmas window for our Pastor’s office. this particular group i am working with is the Tues. a.m. coffee/friendship group that meets weekly at Burger King. anyway, something that came to mind when asked about this is a sort of scribbly Christmas tree with, perhaps, hamburgers hanging off as ornaments, french fries as icicles, etc., etc. and–i would do some Christian wording either around the branches or in the center of the ornaments???? anyway, i am not very original and need to be inspired–help Please!!! i thought i had seen a sort of scribbly (forgive the term and spelling, think you know what i mean) Christmas tree on your site, but can’t find it anymore. i know you must be very busy, so if you don’t have time to respond that is o.k. another question though– your new stamp sets—i don’t understand what Love the Lord set of stamps is comprised of???? You are AMAZING! I am not able to draw a stick figure, ask my kids lol. With your tutorials I think I may be able to make something look like something, other than a blob. So glad I found this site. Love it!!! Thank you for all your beautiful work! I am overwhelmed at your generosity. Thank you for sharing so graciously with us. Vikki, I am thrilled that you enjoy my doodles! And of course you can my wording…it’s really not mine, it’s the Lord’s:) Thanks so much for your kind words. Bless you! Every little drawing gives me ideas to journal in my Bible and I thank you so much for encouraging me to grow closer to God! Donna, love that you are doing this for Lent! Glad we connected too! I pray you draw closer to the Lord through this journey! Bless you! Thank you sooo much for sharing your gift! Following your blog from Switzerland. So glad and thankfull that Paps guided my steps in the www. 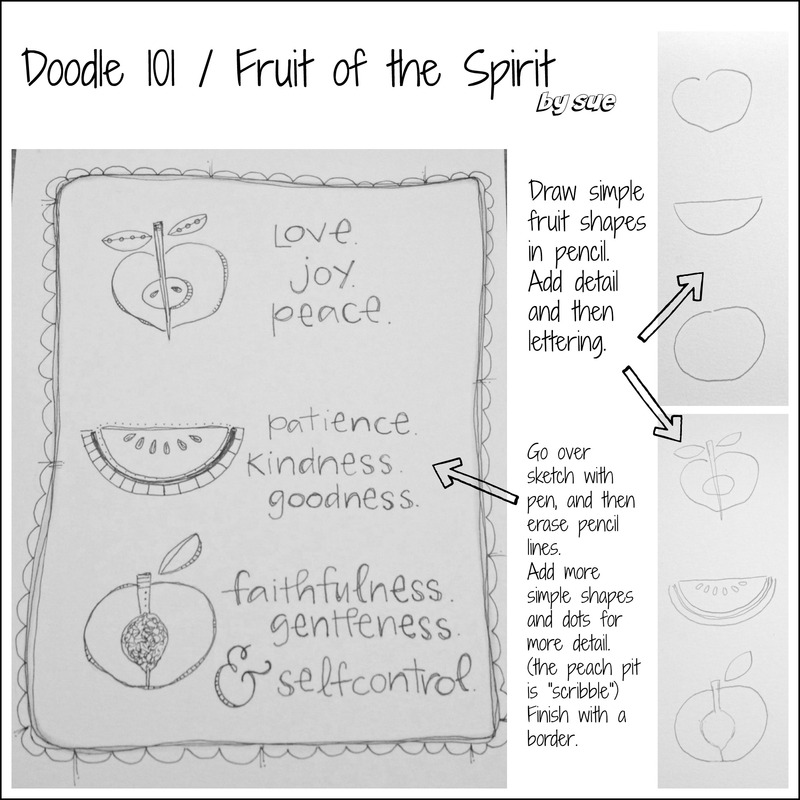 I am inspired to start with bible journaling. Daniele, your message made me SMILE ALL OVER MY FACE! I JUST Love that you refer to God as Paps! I can’t get over that I’m “chatting” with a Sister from Switzerland! God bridges great gaps! Keep in touch Daniele! Bless you! Just laughed out loud because of my misstake: I wanted to write Papaaaaa! But missed the ‘a’ on my iPhone…!! Papa is how I call my heavenly father when I am praying in English. I started with my first page last night (in my diary-just ordered a journaling bible) saying thank you for the gift of creativity. Such a great way to worship our Lord and to connect with Him! Seriously, you deserve a prize! 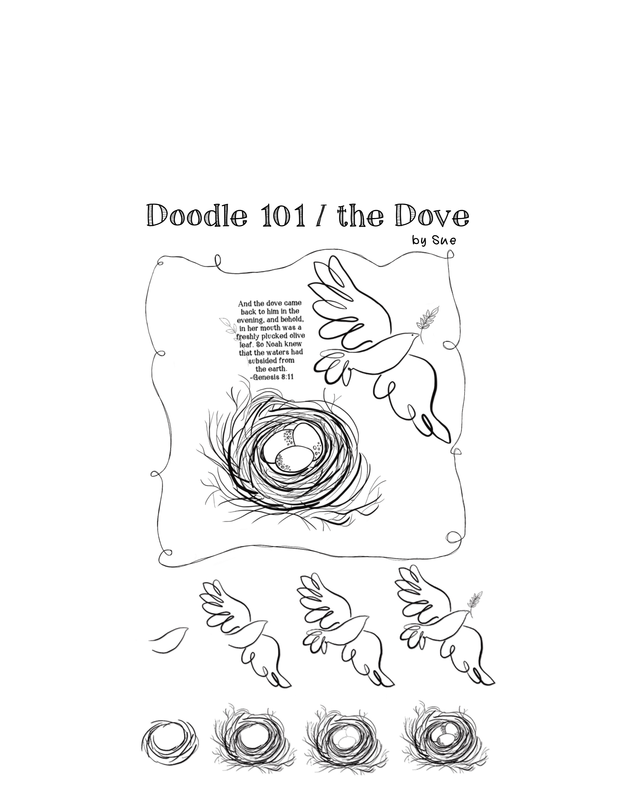 Your doodle breakdowns are such a gift! My practice journaling on paper has been making something ugly out of the beautiful things God was showing me in his word, which seems more than a little counterproductive, not to mention that it was discouraging me from wanting to really begin. 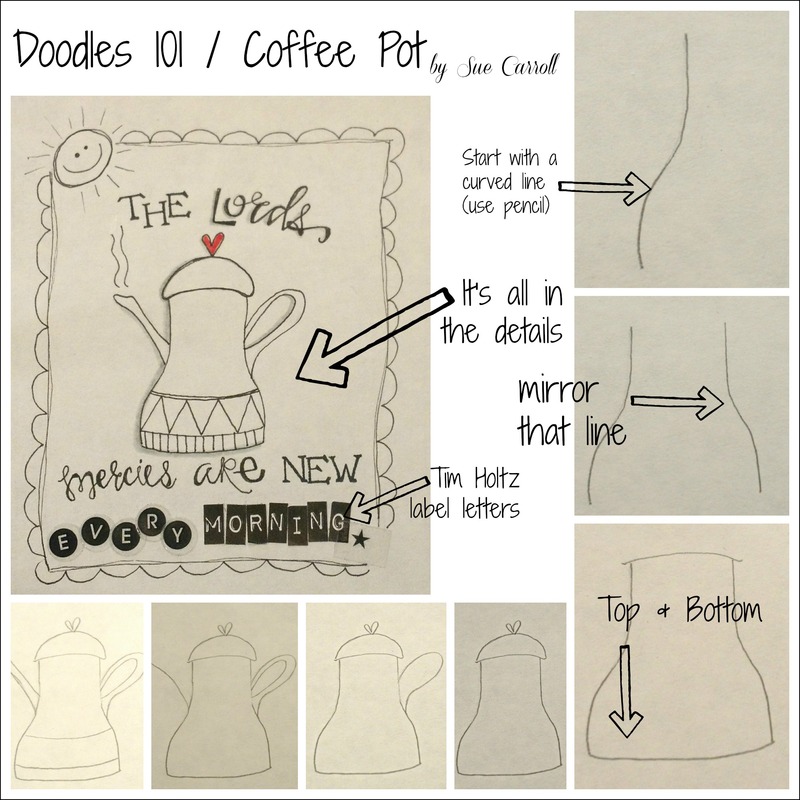 So I was so excited to see that you shared your talent through Doodles101. I’m going to begin my “art education” from your examples. 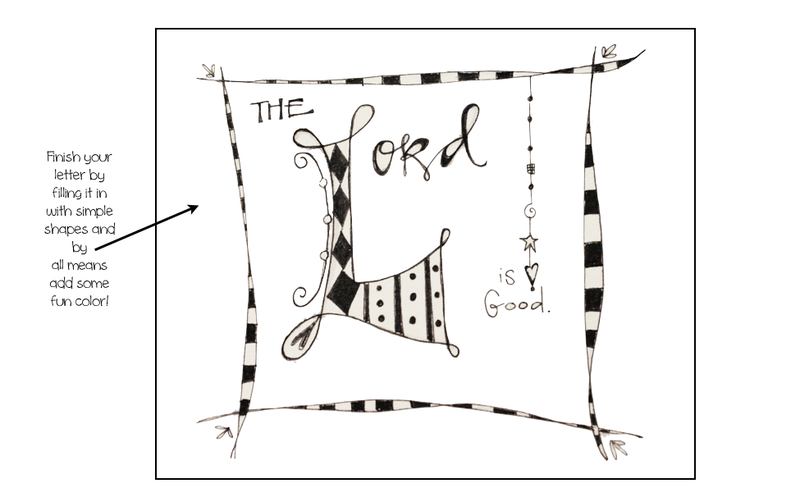 I’d love to grasp how to create images with doodles, my goal being to simply (and better) illustrate what God’s showing me through his word. I truly appreciate your skills and your willingness to share all the how-to’s with us. Estos tutoriales son fantásticos Dios te bendiga. Dios te bendiga. Estos tutoriales son de gran ayuda para comenzar.Saludos desde Puerto Rico. 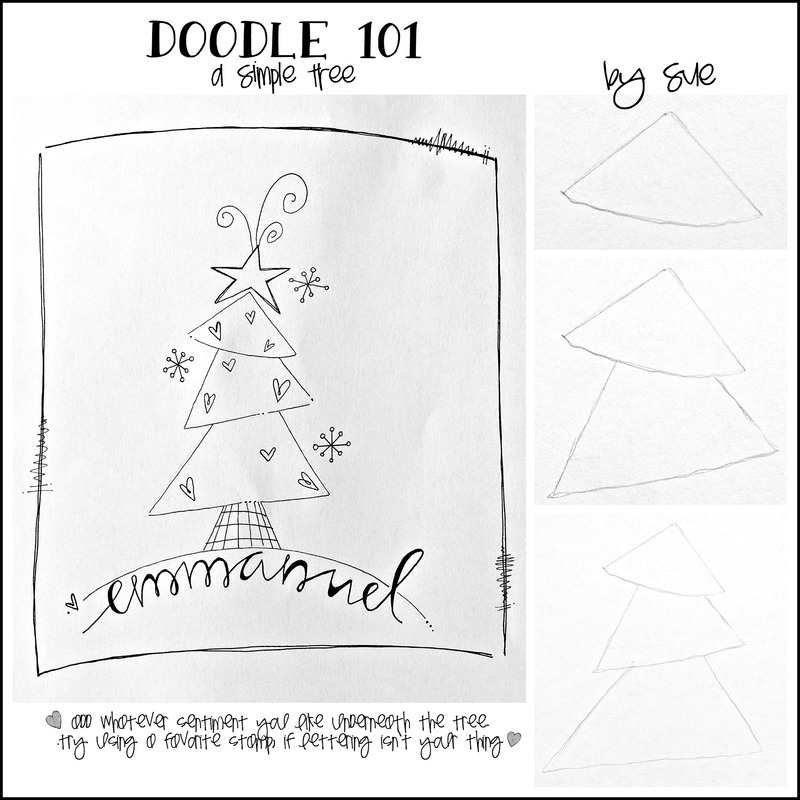 Sue, thanks so much for making drawing seem easy!!! I’m “artsy” in many ways, and very much enjoy creating SOMETHING on a daily basis. But I can.NOT.draw!!! I’ve recently discovered the idea of Bible journaling and desperately WANT to be able to sketch ideas in my journaling Bible. Thank you for helping me achieve this little dream! I love your work, I wish you had a book. I just found your site, and I am so excited! I have just begun Bible Journaling, and I have to say I can’t wait until I can use these. Thank you, thank you, thank you!!!! Sue, I love your artwork and it has inspired me SO much! Thanks for sharing your gifts with us. I got excited every time you post a new “doodle”! Beautiful!!!!!!!!! Will you consider doing one about worship? Wow! Love your website. Thank you. God Bless. Thanks so much Tracy! So glad to “meet” you! Bless you! Love this site. I am organizing a Bible Journaling Bible Study in my community. Any tips, resources, designs, or input you may have would greatly be appreciate. I would love some help in guiding through this process in any way. Ps. If you email me, I will give you my phone number. I’d be happy to talk you through some options when hosting a Journaling study! 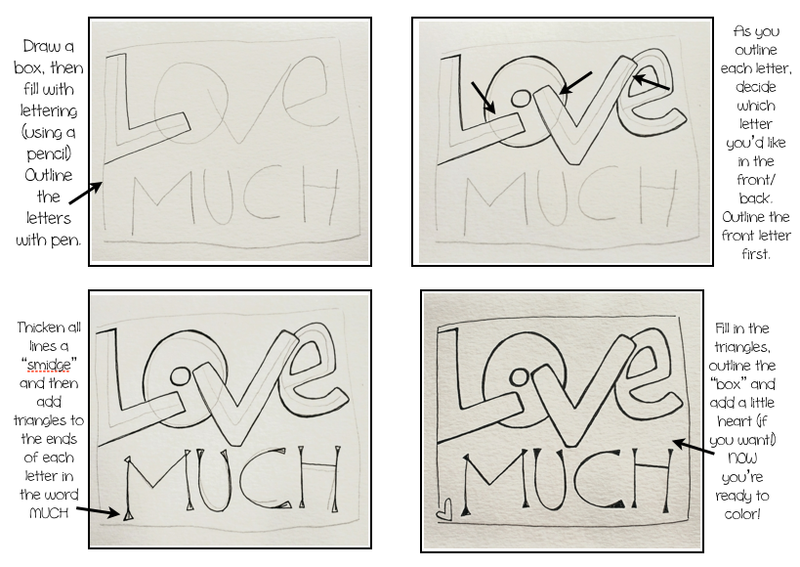 Love these doodles — might have to try doing some on cards sometime!